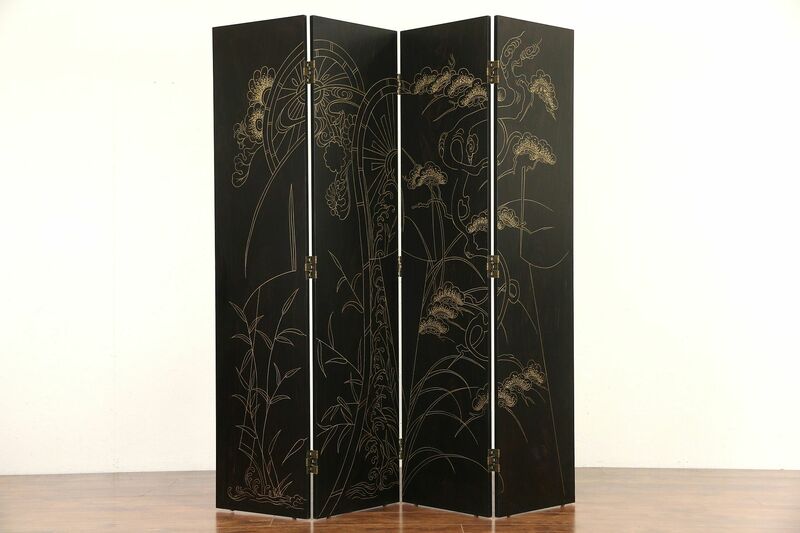 About 20 years old, a four panel black lacquer screen is subtly hand painted. The original satiny finish is in excellent condition on an understated wood textured background. Hinges flex both directions on this unsigned vintage furniture. Panels are 16" wide, 3/4" thick and 67" tall, so width if flat is 67" overall, or folded accordion style, about 4' wide. See 17 photos that enlarge to full screen size. This piece could be sent Greyhound for $150, call or email for additional information on shipping.